Ildar Abdrazakov Foundation which was created to support and promote young talented musicians will present the II Festival this year and its events will be held in 4 cities of the Russian Federation and will welcome more than 5000 spectators. The II Ildar Abdrazakov International Music Festival will take place in Moscow, Ufa, Almetyevsk and Kazan on 12-24 March 2019. Ildar Abdrazakov will participate in all the events of the Festival. Grand Opening will be in Ufa on 12 March where Ildar Abdrazakov will perform together with a renowned baritone Vasily Ladyuk (a permanent guest soloist with the Bolshoi Theatre, a guest soloist with La Scala) and the most talented young musicians attending young artists programmes at music academies from all over Europe. One of the highlights of the Festival will be on 19 March – in Zayadye Concert Hall – starring a renowned bel canto tenor, the winner of the International Opera Awards – Lawrence Brownlee (the USA) and Novaya Rossiya State Symphony Orchestra (New Russia State Symphony Orchestra – на их сайте фигурирует оба названия) under the baton of Claudio Vandelli (Italy). The programme of the Festival includes master classes with internationally renowned musicians for young talented people (Ufa – 12 March, Moscow – 17 March). According to the results of their participation Ildar Abdrazakov will choose the best of the best and invite to perform in one of the concerts of the Festival. 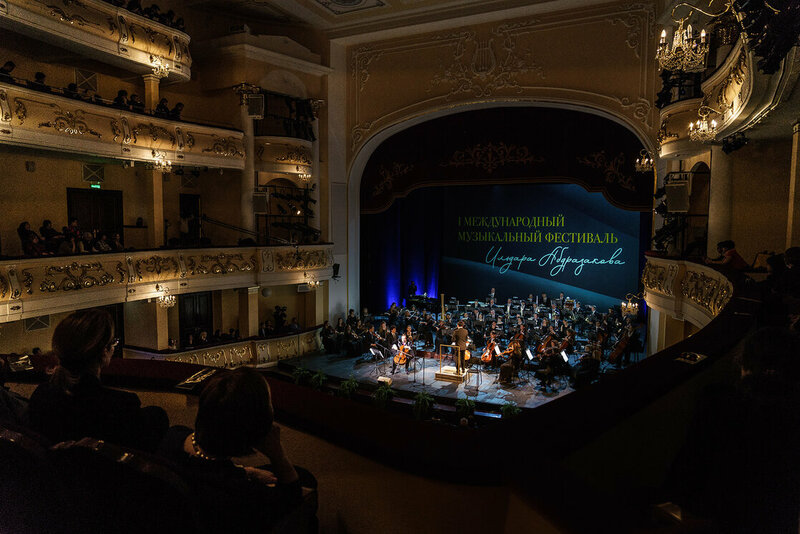 A series of Verdi Gala concerts will close the Festival on 23 March in Kazan and on 24 March in Almetyevsk. In both concerts there will participate The State Symphony Orchestra of the Republic of Tatarstan under the direction of Alexander Sladkovsky. Tickets for all upcoming event of the Festival are on sale.